When people enter your house, the garage is the first thing that they notice. They do make a significant impact on the aesthetic appeal of your home, and hence, it is advisable that you must get the right kind of doors fitted. Similar to other things, even the garage door tends to wither over a period of time. Thus, you must notice the sign of problems so that you can timely contact the garage door repair and installation company to work on the same. Need – the first thing that you must notice is whether you need a new garage door or not. For example, if you already have a door installed and is functioning well, don’t replace it. All you need to do is to check the door regularly, and if you find any technical issues or withering of the door, you can get it changed. It’s not functioning well– Another important thing that you should notice is whether the door is working well or not. 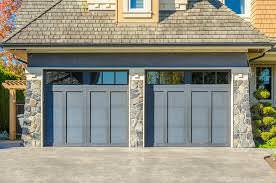 You may see that the garage door is moving slower when rising or it detaches from your opener or is falling freely on the floor. All these conditions point out that the door needs to be changed. Loud noise while opening or closing the door– In case you notice the door opening or closing loudly, it needs to be repaired or replaced as required. Vibration on the garage door- This is again a red signal that the garage door needs rectification or replacement. If you notice worn out opener, you must call the technician. If you notice any of the above signs, it is always good to get it replaced. Sticking to old garage door can be a cause of a problem while you open or close the door. Another reason people opt to change the doors is the availability of smart and hydraulic doors which are easy to operate and also function seamlessly. Make sure that you keep a regular check on your garage door and rectify the problem before it grows bigger. Also Read Why wooden garage doors are no longer a trend?